Start ---> Run ---> %temp% (Delete all the files and folders in it). It deletes all the teporary files which would increase the storage capacity. 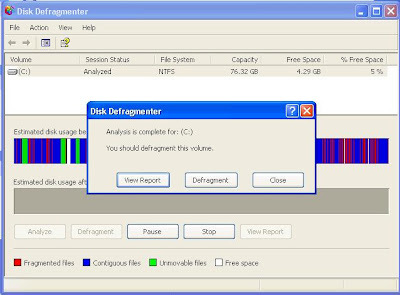 My Computer ---> Right Click ---> Manage ---> Disk Defragmenter. This helps in the alignment of the content and the files. 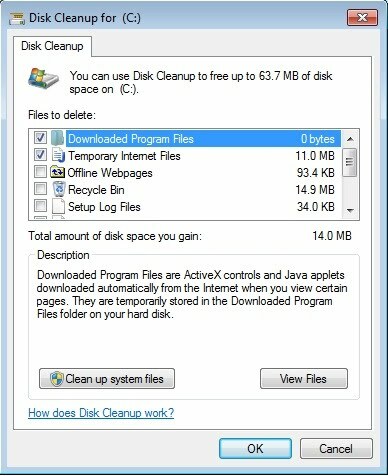 My Computer ---> C:/ (C Drive) ---> Disk Cleanup. This suggest various unwanted files and contents which must be cleaned / deleted so as to increase the storage space which might be occupied by them. 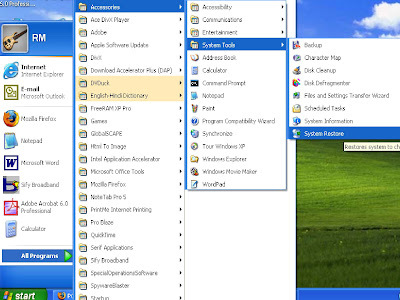 Start ---> All Programs ---> Accessories ---> System Tools ---> System Restore. This helps in restoring your computer which would increase your computer's speed and performance a bit. Start ---> Run ---> Ms Config. 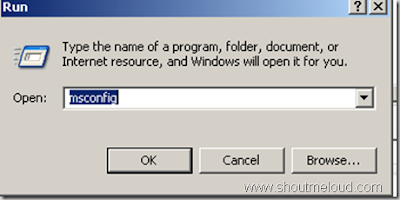 Using the above command you can configure the start up options by deleting the unwanted startup programs which will boot your computer early than before. 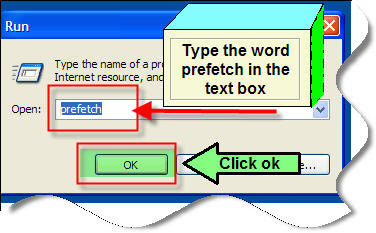 Start ---> Run ---> Prefetch (Delete all the files in it). This option is similar to that of the %temp% command.